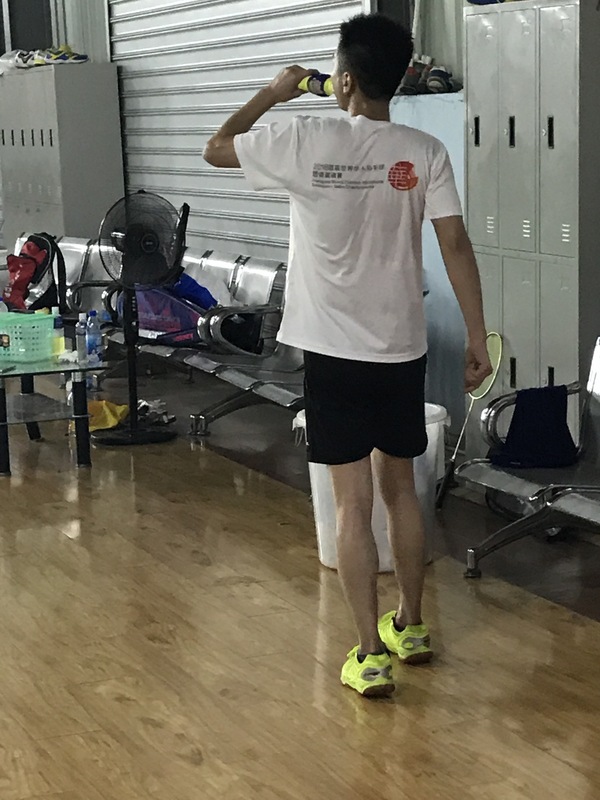 Of course the first thing I did after coming back to China was run to my court to play badminton. But it’s basically the only thing I’ve done because this place is friggin hot! Anyone with any sense is staying inside, with the a/c, all day long and only coming out at night when temps are slightly cooler. How hot is hot? Well, this was yesterday’s temp. I included Fahrenheit for you Americans. 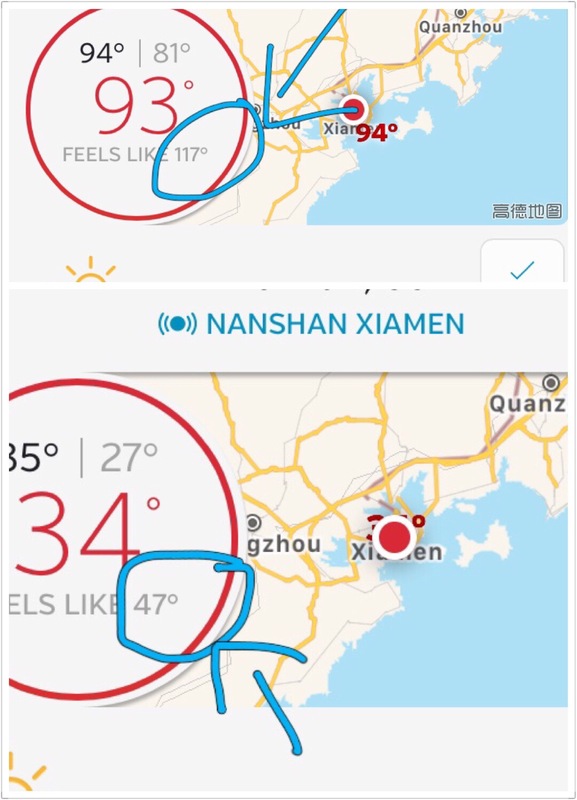 So, you can see that not only is the base temp pretty damn sweltering the “real-feel” temp is oppressive because of how humid it is. Like, trouble breathing in it kinda oppressive. And after coming from an unusually cool summer in America, this is hitting me hard. I went with my friend to the dentist yesterday and despite being outside for only a short amount of time, I needed an hour just to lie down and recover. So how can anyone play badminton in this? 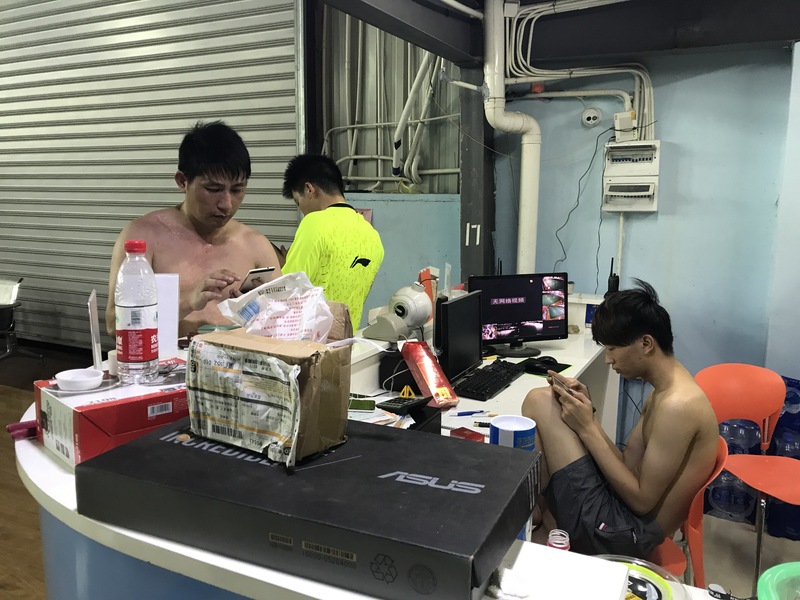 Remember, courts in China don’t have air conditioning. It’s financially unfeasible and most Chinese have a real prejudice against it anyway (they think it makes the air unhealthy, and it’s unhealthy to play sports in a place with air conditioning.) So playing is real murder. You need to prepare not only a sweat towel. but 3-4 pieces of clothing because you’ll be changing so many times. And playing in this weather is dangerous! Not just because your heart races so much higher in the heat but because of the sweat. People’s clothes get so sodden so quickly the sweat just falls off them dotting the court. A wet court isn’t safe and people are literally slipping around in each others sweat. Also, soaked shirts become incredibly heavy and hinder your playing. How am I, a northern-European heritage “big boned” girl, handling it? Like a boss. Yesterday, after the daytime trip to the dentist, I felt completely miserable. I was exhausted, had a slight fever and zero energy. Yet after a small nap I dutifully got up, changed and went out for badminton. I was so exhausted I could only speak at a low volume. My first game I was shaking because I was so weak and so hot. “I’m gonna have to leave early,” I thought. But we won and challengers came out to keep us going and by the third game I was somehow feeling better despite already having soaked through one shirt. If I told you someone just pushed this guy into a pool with all his clothes on, you’d believe me. But no, that’s just his own body that made hm that wet. As the night went on I felt better and better. It was super weird and went against everything I have ever experienced in my life. I ended up playing until 10pm and felt 10000 times better leaving then when I went in. The magic of badminton! I used to be a proponent of sweat bands, so much so that I would wear them out and about even when I was going shopping or out to a bar (I wrote a whole blog post about how I loved them). Now, I never wear them, not even when playing. I’ve found that having a heavy, sweat soaked piece of fabric weighing down my wrist isn’t pleasant so I switched to using my sleeve and a sweat towel but sweat regularly rolls down into my eyes and stings them. So there’s nothing I can do except keep drinking a ton of water (and a little Gatorade) and just remember this weather can’t last forever. December I’m waiting for you!